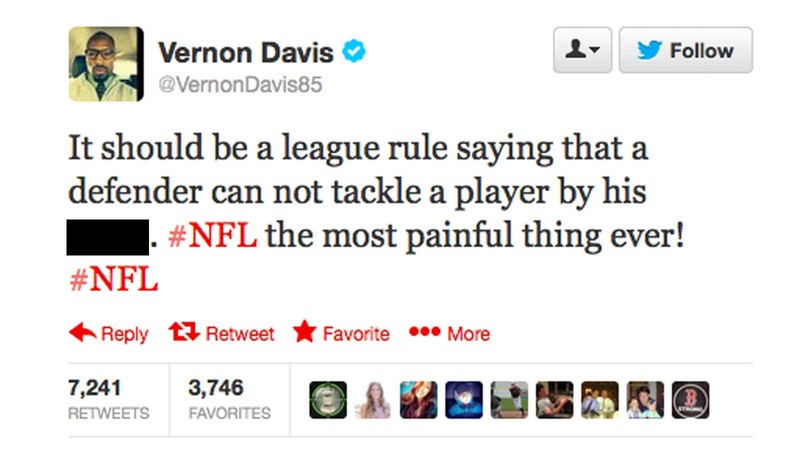 Vernon Davis is making a lot of sense. 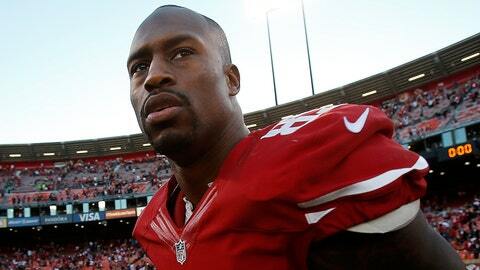 Vernon Davis is a man in pain carrying a legitimate gripe. After all, the 49ers tight end was brought to the turf on Sunday by a defender who went … low. Makes perfect sense to me. Seriously, would anyone argue against that? And don’t bring up the "well, the NFL allows players to be tackled by their hair." Growing your hair long is a choice and if you decide to wear it long, that’s your problem and it’s fair game. You don’t choose what parts come standard with your body.You can’t allow groin tackles. Anyway, Davis must have felt some guilt over his proposal, because the tweet is now gone from his timeline. UPDATE: FOX NFL rules expert Mike Pereira went on FOX Football Daily and addressed the Vernon Davis tweet. This was his opinion.
.@MikePereira on the Vernon Davis groin play: "If you can tackle by the hair (legally), you can tackle by that too."